Buying car insurance in Massachusetts can seem complicated, with various types of coverages and state laws which have changed in recent years. The state requires all drivers to carry some level of insurance, but in 2008, drivers gained new buying options as Massachusetts moved away from a highly regulated industry to managed competition. At the same time, insurers have started changing their policies, so not all companies use the standard Massachusetts policy. Compulsory Coverage: Massachusetts requires drivers to buy basic car insurance coverages, including Personal Injury Protection. Click here to read about the four types of Compulsory Coverage. Optional Coverage: Drivers should purchase more than the state's compulsory coverage. In most cases, it provides insufficient financial protection for car accidents. In addition, drivers often do not realize how much coverage they can purchase for a small investment. Click here to learn more about Optional Coverage. Are you a cyclist? 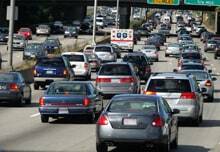 Your Massachusetts auto insurance policy is an important tool for protecting yourself. If you are hit, you may expect a driver to provide compensation for your injuries, medical expenses and lost wages. But this is not always the case. Not having your own coverage can make a bicycle accident even more devastating. Drivers do not always carry auto insurance coverage or carry enough. Because of this, it is important to look into purchasing Underinsured and Uninsured Motorist Coverage and Medical Payments Coverage. More than that, it is important to make sure you are carrying adequate amounts. Read our article to learn more. When a medication is recalled, the public is largely aware it should no longer be distributed or prescribed. But it is important for patients to know the Food and Drug Administration can also take other actions beyond a recall. The agency can also issue safety notifications which restrict use of the medication and advise other precautions. The FDA recently issued safety communications and alerts for two drugs, Actos and Multaq. If you are taking these medications and have suffered complications, it is important to seek appropriate medical care and consult an attorney. The product liability attorneys at Breakstone, White & Gluck are currently reviewing cases involving these two medications. We can be reached at 800-379-1244 or 617-723-7676 or use our contact form. Multaq: The FDA has instructed physicians not to prescribe Multaq to patients with permanent atrial fibrillation, an abnormal heart rhythm. On Dec. 19, 2011, the FDA issued a warning that the heart drug places these patients at an increased risk for serious cardiac attacks including death. Multaq was approved by the FDA in 2009 to treat permanent AF and has since been subject to several FDA instructions and actions. Click here to learn more about the FDA's recent action. Actos: The FDA has advised physicians that patients with bladder cancer should avoid taking the drug, which is known generically as pioglitazone. The FDA acted based on its monitoring of a 10-year study which reported there may be a 40 percent greater risk for developing bladder cancer among those who have taken Actos for more than one year. Actos is an oral diabetes drug which has been on the market since 1999. Click here to learn more about the FDA's recent action.